SR 11302 inhibits effectively the proliferation of T-47D, Calu-6 and HeLa cell lines, and could serve as a candidate for new retinoid therapeutic agent with reduced side effects. SR 11302 is one of the most promising drug candidate for chemotherapy and chemoprevention of cancer, and its effect is mediated by blocking AP-1 activity. SR 11302 is an inhibitor of activator protein-1 (AP-1) .AP-1 is a transcription factor that displays antitumor effects in vivo. SR 11302 is an inhibitor of AP-1 but don’t activate RARs and RXR. SR11302 failed to inhibit the proliferation of F9 cells, the embryonal carcinoma cell line. 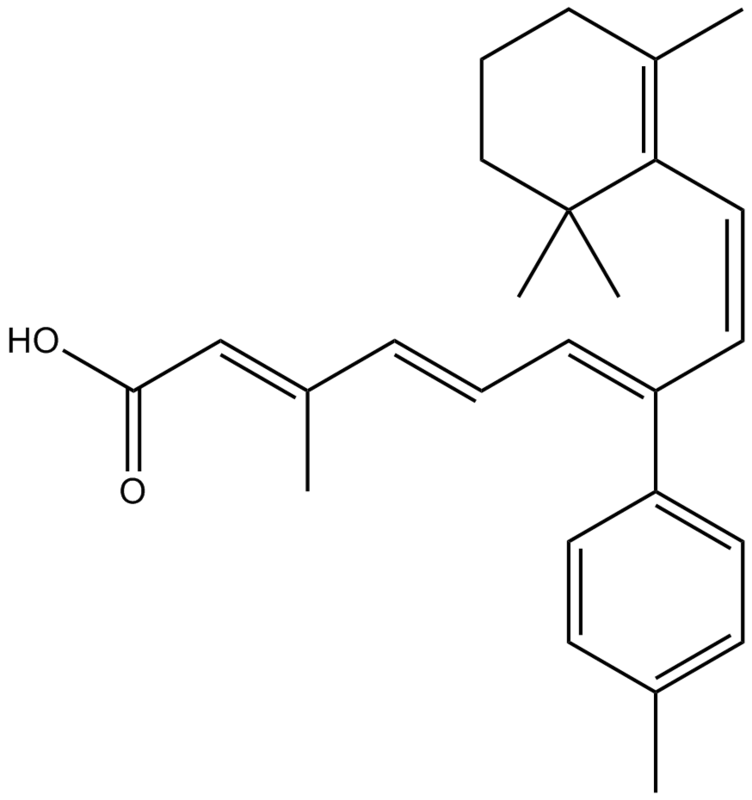 While, it can inhibit the growth of breast cancer cell line T-47D, the lung cancer line Calu-6 and HeLa cells. 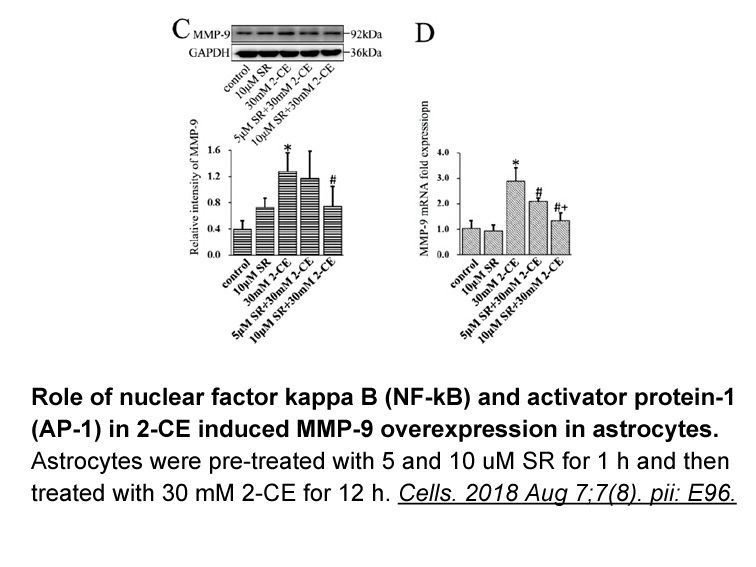 SR 11302 had very little effect on either the proliferation or the differentiation of HL-60, fresh APL and NB4 cells, which indicate that AP-1 may not be involved in the signaling pathway of proliferation and differentiation of HL-60, fresh APL and NB4 cells . In an AP-1-luciferase transgenic mouse carcinogenesis model, SR11302 significantly inhibit both AP-1 activation in 7,12-dimethyl benz(a)anthracene-initiated mouse skin and 12-O-tetradecanoylphorbol-13-acetate-induced papilloma formation. While, SR11235, a retinoid with RARE transactivating activity, but lack of AP-1 inhibiting effect, didn’t inhibit papilloma formation and AP-1 activation. 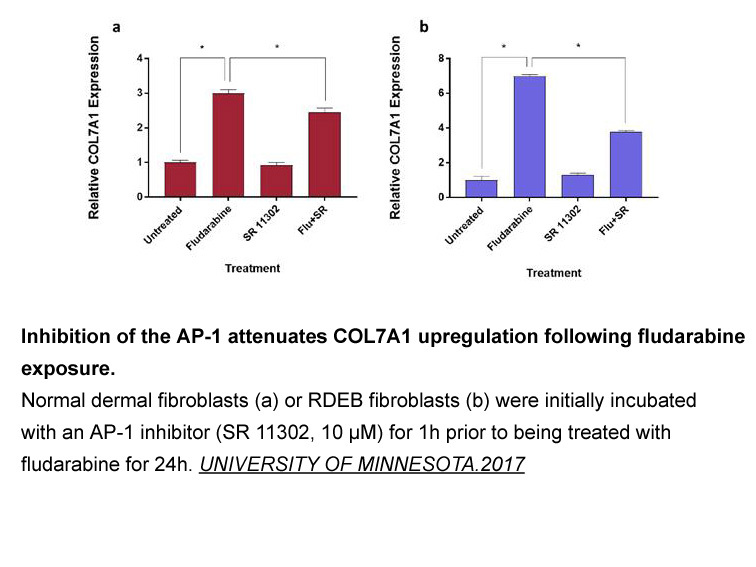 These results show that the antitumor effect of retinoids is mediated by blocking AP-1 activity in vivo .